Who are you? Whereabouts in the world are you based? What's good and bad about your little corner of the world? 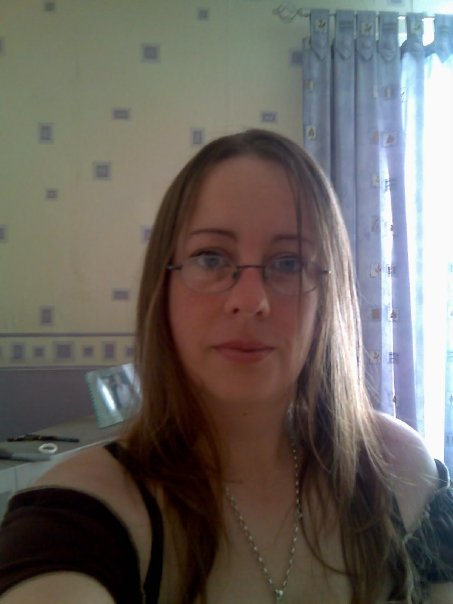 I'm Zoe, I live in Barnsley, South Yorkshire, England. I love it here, roughly in the centre of the country so everywhere is quite accessible. Bad points - it needs more Craft shops!! When and why did you start cardmaking? What (or who) got you started? I've always been interested in making things and as a little girl you would always find me in the stationery section in shops, rather than the toy section. I would knit with my mum and sew at school. I would make cards on the computer then I started making them from old cards and the rest is history! What do you enjoy most about designing and making a card? I like trying new things. I've had a dabble at most card-making techniques. Some I've loved, some not. I like learning new things so I'm always looking out for new ideas and generally 'messing'. What do you love about digital stamps? 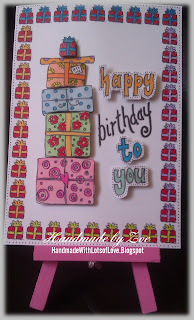 I love digi stamps as there is so much more you can do with them than regular stamps. You can change the size - that's the most important thing for me. How many cards do you make in an average week? Where do you do your crafting? Do you have a dedicated craft room or do you take over the kitchen table? I have a craft room, but I craft anywhere. In the dining room, in the bedroom - anywhere really apart from my craft room!! Do you ever sell the cards you make? If so, where? Do you do other forms of craft too? If so, what? I like to knit and sew but I don't do a lot of it these days. I like to make leather bags and purses when I get the chance. Who are your favourite craft bloggers? Finally, have you got a favourite Handmade Harbour image? That's like asking which is your favourite child!!! 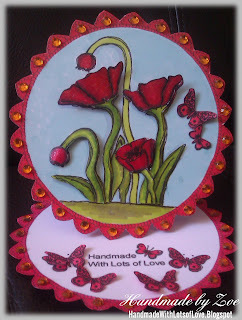 BUT I love the poppies digi stamp which I used in the card above! I adore what you did with the Poppies digi stamp, Zoe! And I'm fast realising that I'm not the only one who spreads their mess creativity all over the house despite having a dedicated space to use! Wonderful to get to know you Zoe. Your cards are beautiful! I know what you mean about not getting a chance to sew.....my sewing machine is so neglected since I started cardmaking! Hello Zoe! Nice to meet you and I cannot wait to see all the lovely cards you will be creating over the next six months! Hi Zoe nice to meet you. I love poppies and like how you've used the HH digi stamp. Looking forward to seeing more of your work. nice to meet you zoe! !